As we’ve come to expect from Mr. Fujita’s designs, the TU-8340 has some interesting innovations. It accepts many of the big boy pentode power tubes – EL34, 6L6GC, KT88, KT90, KT120, KT150 – and uses four microprocessors to control output tube bias. They’re calling it a “semi-automatic fixed bias” adjustment system. This theoretically promises very good biasing accuracy, especially for those of us who like to roll different tubes in. And who doesn’t? 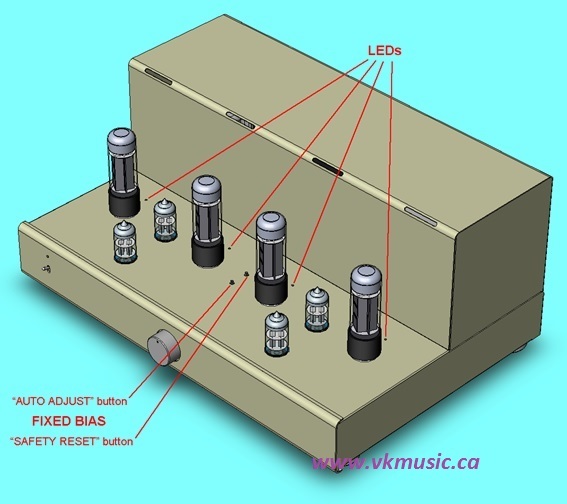 Victor posts updates regularly on DIY Audio, click here for more info. Or check out the VK Music website. VK Music is the exclusive North American distributor for Elekit. 3 Comments on Finally, a powerful and affordable kit amp from Japan! Any updates on the 8340 coming? I have been sitting on the fence about getting one of these. Currently listening to my 8200DX while typing this! I just heard that it’s en route to Steve and he’ll have the kit on Monday. So expect to read something in the next month or two. Awesome! I look forward towards the review and what y’all think of it. I bought and built the TU-8500DX last year and have been enjoying it.